Hi @regi, is there any error messages when you failed to connect? Try the Lite mode if your Android device and computer are on the same Wi-Fi network. 1. Tap Start Test. If everything is all right, the connection should be able to built now. If the result is failure, try again. 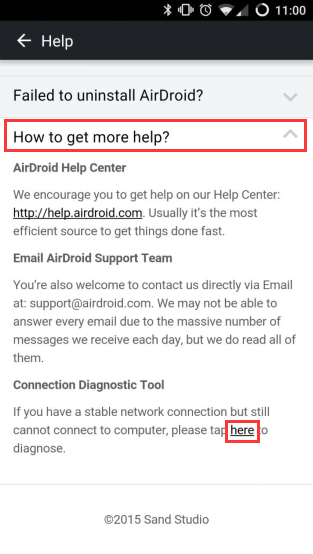 Note: If you got Everything is all right but AirDroid still can't connect, go to step 2. 2. If it keeps failing, tap Resign Url. And try reconnect. 3. 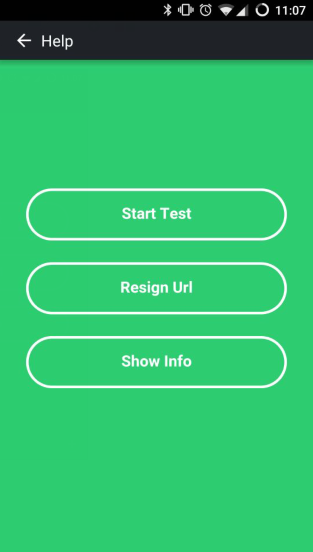 If resigning url doesn't work either, tap Show Info > Report to report your device and network info to AirDroid Team, and we will take a look.